The grandest of spaces and the highest of standards. Dating from 1670, Skinners’ Hall is a Grade I Listed venue, full of charm and atmosphere, considered one of the City’s most beautiful hidden gems and a stunning location for weddings. Ceremonial entrance gates greet guests into the courtyard, as they move through into the beautiful Outer Hall with its circular balcony and open fire for your wedding ceremony. Weather-permitting, guests can venture out for drinks & canapes on the Roof Terrace, then moving through into the Great Hall once formal photos have been taken for your wedding breakfast. Finally draw your guests to the Old Court Room for your first dance as a married couple, and party the night away! From relaxed BBQ-inspired dining in the Summer to a more formal-yet-whimsical seated 3 course meal for a Winter Wedding, our team of wedding professionals can turn your special day into an unforgettable experience. 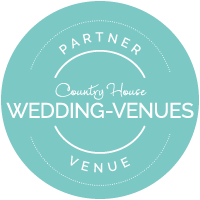 The on-site events team will help you at every stage to plan your day and guide you expertly to the very best that we can offer to create your perfect wedding day. Take a look below through the galleries of each space, and fill in the form to enquire about your wedding & arrange a site visit of Skinners’ Hall.